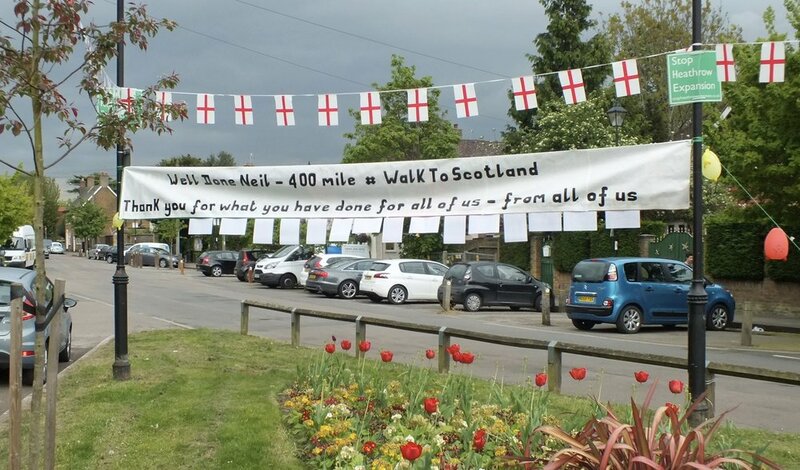 Neil Keveren, who completed his 400-mile, 3-week walk to Scotland and his Uncle Ray, who manned the support vehicle enjoyed a special welcome home party in Harmondsworth on Friday evening, 28th April - only a few hours after driving back. Banner across the village green. Ray with Jackie, SHE's Chair. Both received some lovely Scottish shortbread as a thank you.